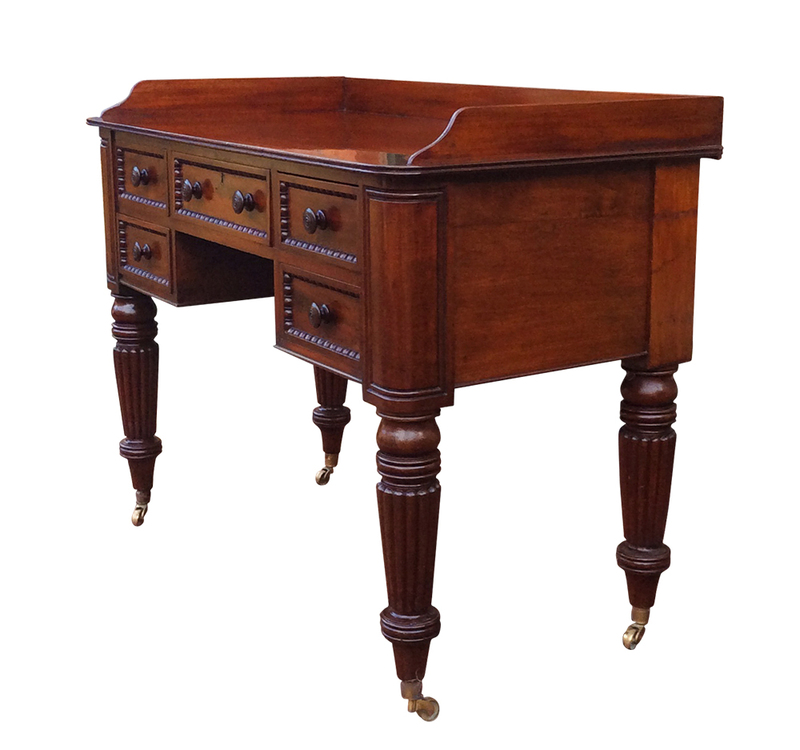 This very good quality William 1V serving table or side table is made from the best quality mahogany timbers in the early 19th-century style of the famous English furniture makers 'Gillows' of LancasterIt. 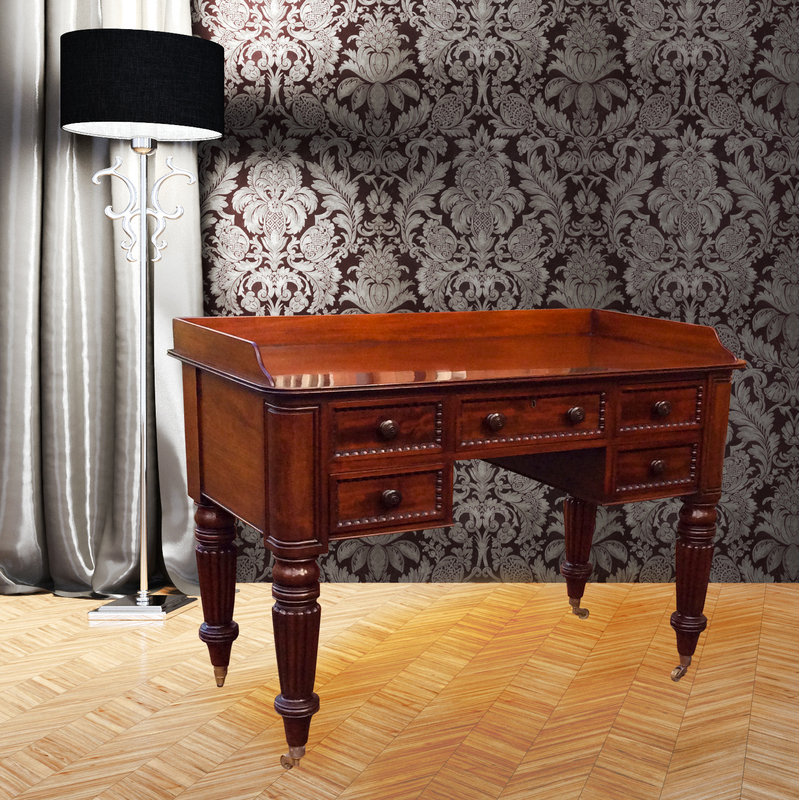 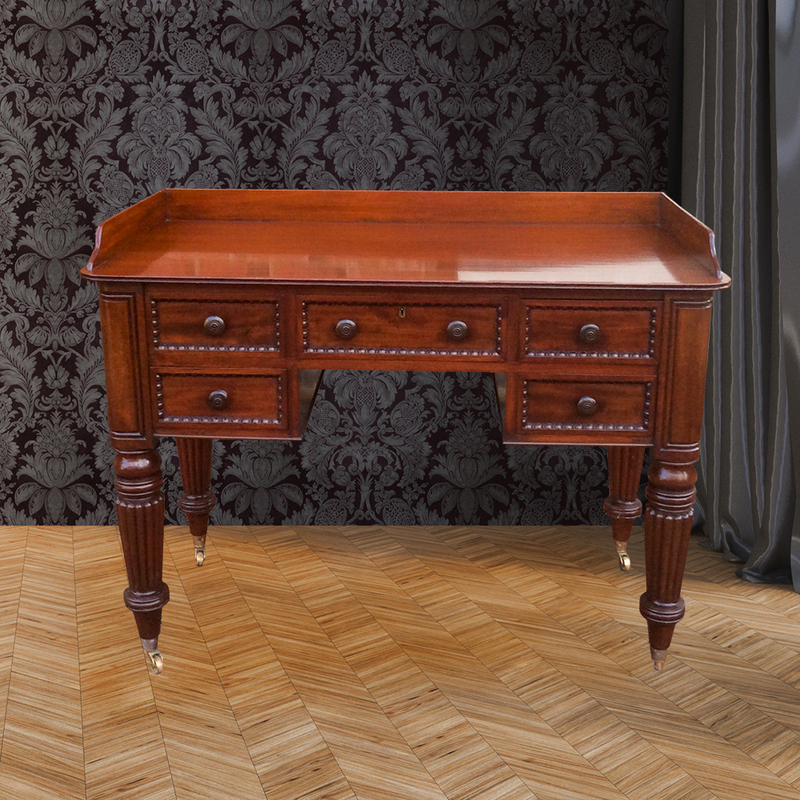 It has a beautifully polished top showing the quality of the mahogany and richness of colour, surrounded by a three-inch gallery to the back and sides with a reeded edge. 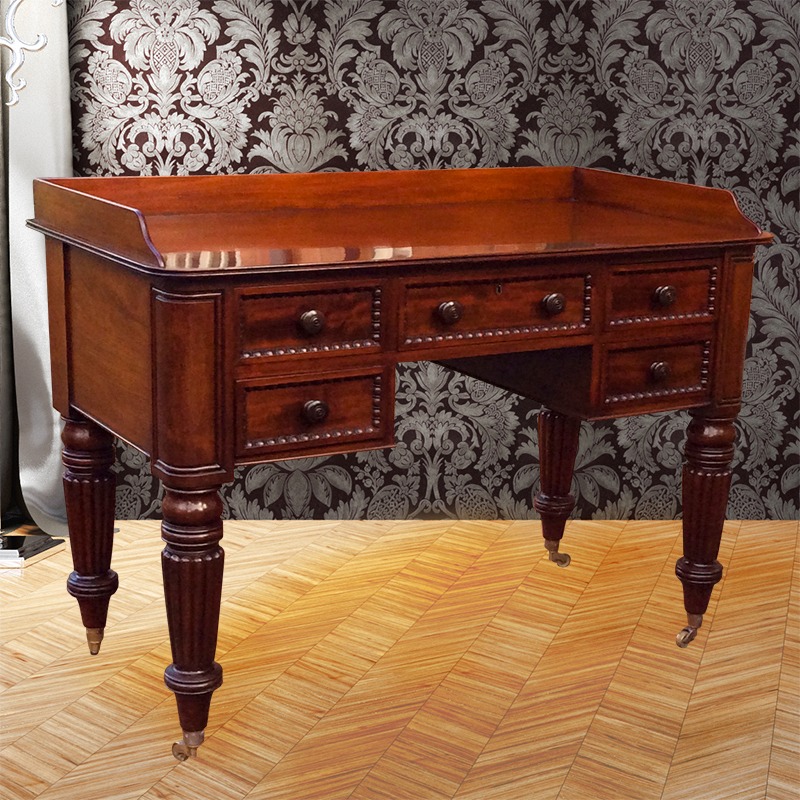 constructed in the manner of the early 19th-century famous English furniture makers 'Gillows' of Lancaster. 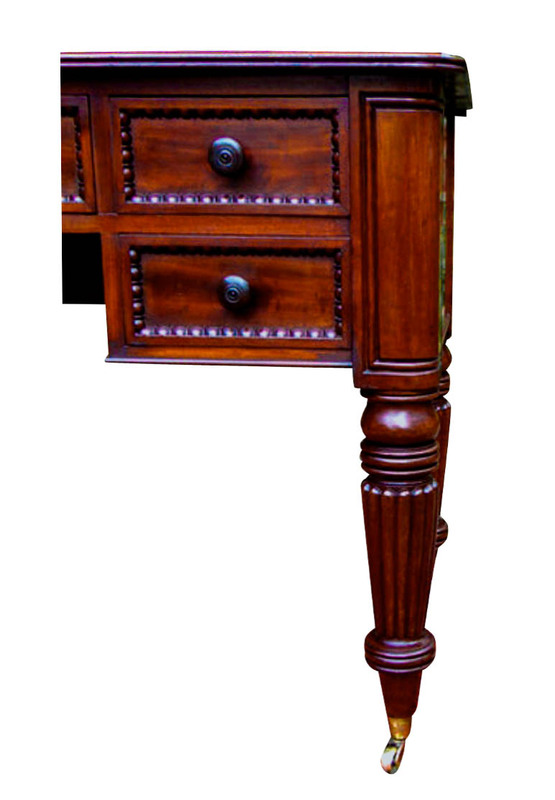 surrounded by a three-inch gallery to the back and sides with a reeded edge. 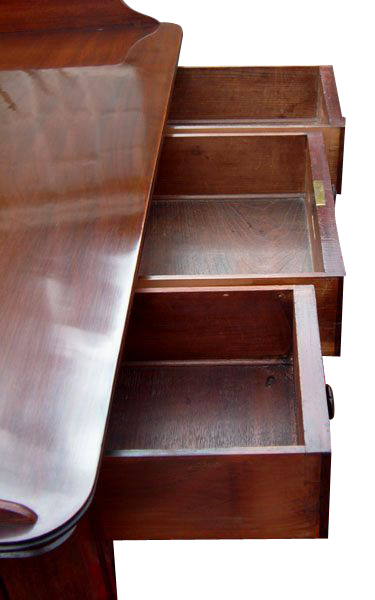 The five drawers that surround the kneehole are mahogany lined with hand cut dovetail joints. 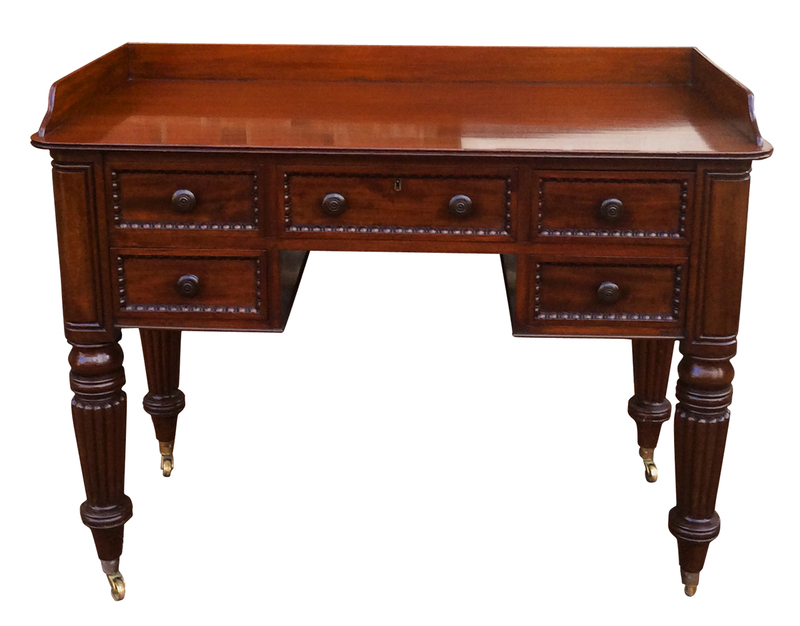 They have egg and dart mouldings and the original turned mahogany handles (one being a replacement). 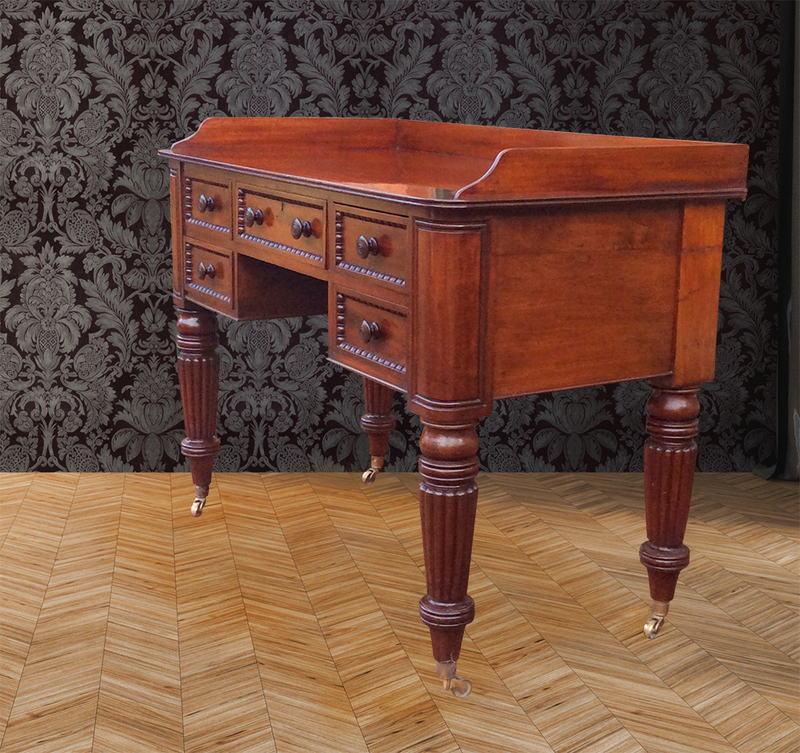 The central drawer is also fitted with the original lock. 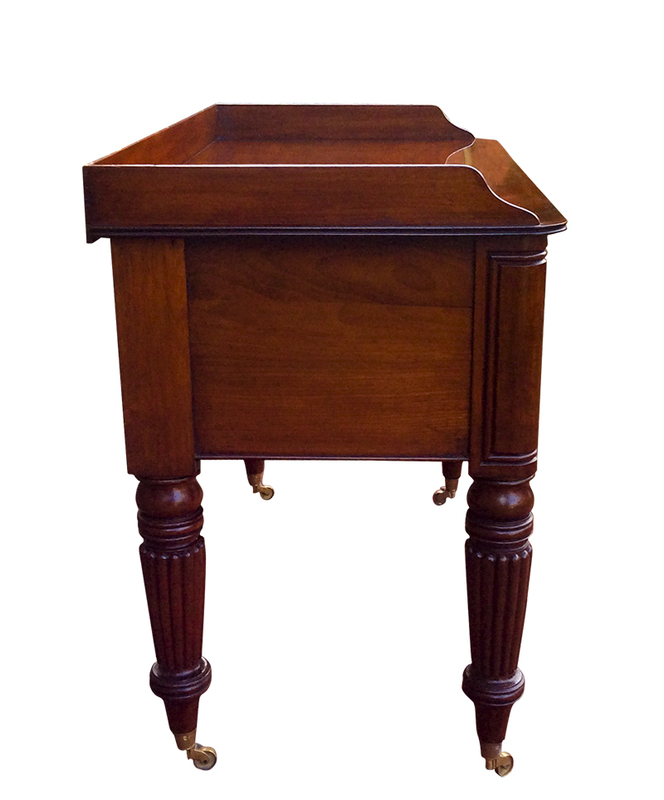 This antique table has lovely rounded edges to the front sides and stands on four turned and reeded legs with brass cup castors.